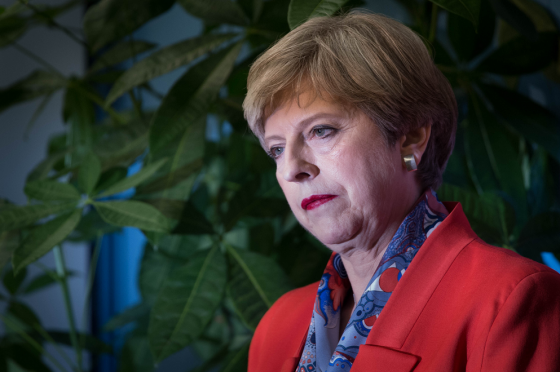 North-east Tories have dismissed talk about Theresa May’s future as prime minister as “unnecessary speculation”. Some senior Conservatives have criticised her vow to fight the next general election, with party veteran Lord Heseltine branding it unrealistic. Former party chairman Grant Shapps also intervened, claiming it was “too early” for the prime minister to speak about going “on and on” like Margaret Thatcher. But Gordon MP Colin Clark said it was important for the party to get behind its leader and for the Conservatives to be seen as a “sound and strong government”. West Aberdeenshire and Kincardine MP Andrew Bowie concurred, insisting the prime minister was doing a “very good job through a very difficult time”. And Aberdeen South MP Ross Thomson said there was no appetite for a change of leadership within the party, adding it would make the UK look “weak in relation to Brexit”. After losing the Conservative majority in June’s snap election, Mrs May told backbenchers she would continue to serve as long as the party wanted. But on her visit to Japan, she insisted she was not a “quitter” and set out her intention to lead the Tories into the 2022 contest. Her remarks came after reports she was preparing to stand down the day before the UK leaves the EU in 2019. Mr Bowie, on the other hand, argued the parliamentary party was united behind Mrs May. Mr Clark said: “What’s important is the Conservative party gets behind its leader and we are seen to be a sound, strong government. Mr Thomson maintained it was a time for stability.